French-based biotech company Kallistem has just announced that it has successfully produced the world’s first artificial sperm using a process called in vitro human spermatogenesis. Founded in 2012 by Philippe Durand and Marie-Helene Perrard, these internationally renowned scientists specialising in human reproductive biology may have achieved the breakthrough that could help to preserve male fertility and treat male infertility. Kallistem, together with its partners, has been focusing on both treatments for male infertility, and germinal cell culture to protect male fertility. At the end of 2014, the company’s advances in biotechnology facilitated the development of fully formed human spermatozoa outside the body. The spermatozoa were created in a laboratory setting from spermatogonia (immature germ cells) obtained from patient testicular biopsies. 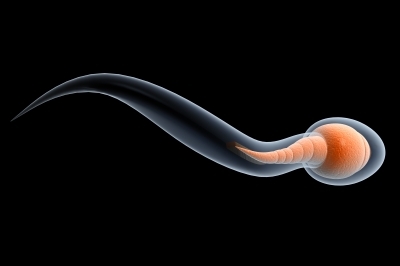 Creating spermatogenesis in vitro is an exceptionally complex process, taking 72 days to complete. Kallistem has utilized two pioneering, patented technologies to achieve this world first; both of which comply with the current regulatory standards. This isn’t the first time in vitro human spermatogenesis has been attempted. Throughout the world several organisations have been trying to achieve this scientific breakthrough over the past fifteen years. “This opens up long-awaited therapeutic possibilities,” said Professor Hervé Lejeune of the Department of Reproductive Medicine at Lyon University Hospital’s Women’s, Mother and Baby centre. “Achieving full spermatogenesis in vitro, from spermatogonia through to the final stage of mature spermatozoa, not just in animal species, but also in humans, is a real biotechnology achievement,” he added. Now firmly recognised as a leader in their field, Kallistem is looking to accelerate their research. Until now the company has been self-funded, but with these latest developments the biotech company is looking for partners to expand into the United States. A goal of Kallistern is to establish a therapeutic development project involving patients at risk of reduced fertility. 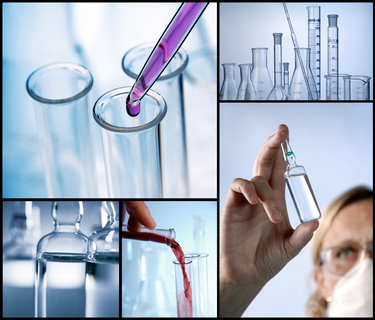 It’s expected that preclinical trials will run through until 2016, and 2017 will be the commencement of clinical trials. Kallistem has a five year objective to provide licences to suppliers of assisted reproductive treatments to use their technologies, plus market them directly to private and public fertility treatments. Based on the company’s projections, the treatment for male infertility could amass €2.3Bn (£1.66 billion), with over 500, 000 new patients annually. Across the world in developed countries there is a predominant increase in male infertility rates. Over the past 50 years the number of spermatozoa in ejaculate is now halved and therapeutic approaches are restricted. For example, pre-pubescent boys that are exposed to gonadotoxic treatments such as radiation or chemotherapy have no means to preserve their fertility. Worldwide this impacts over 15,000 young male cancer patients. Many adult men also lack access to treatments to improve fertility. Approximately 20% of infertile men are diagnosed with non-obstructive azoospermia and unable to access effective treatment. The new technologies developed by Kallistem aim to help these patients. By taking a testicular biopsy, the extracted spermatozoa can be cryopreserved. When the patient is ready to father a child it can then be used in ICSI in vitro fertilisation. While it will take time before these new reproductive technologies become accessible, the groundwork has been done and now the world awaits the results of clinical trial. If successful, not only do investors stand to make a lot of money adopting these technologies, men will also benefit from being able to improve their chances of having a child. How much this new fertility treatment will cost is yet to be determined.